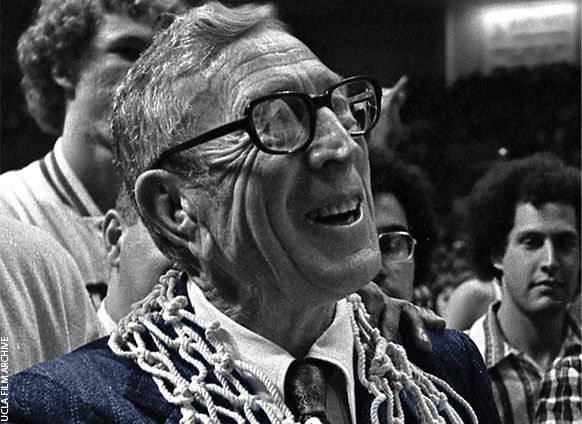 John Wooden was arguably known as much for his wisdom off the court as he was for his ability to win championships on it. Related: Discover the Path to Greatness with John Wooden’s Pyramid of Success. The legendary UCLA men’s basketball coach and six-time national coach of the year won 10 NCAA championships in 12 years—including an unprecedented seven in a row. He preached simplicity, patience and character building, and his pyramid of success has been used in board rooms and locker rooms alike. He inspired former players, including Kareem Abdul-Jabbar and Bill Walton, but his inspirational words reached beyond the stands, too, influencing the lives of many more.